He has been in Kabukicho for 60 years. 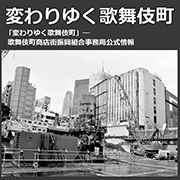 And speaking of 60 years ago, Kabukicho was just beginning as an entertainment area with the building of the Koma Gekijo theater and cinemas, and it was at this time that Yoshida came here from Fukuoka in Kyushu and started out as a porter. 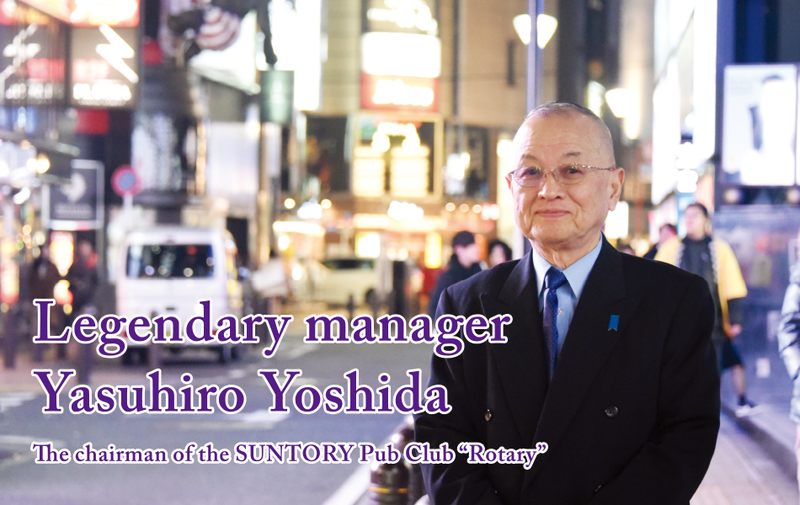 The SUNTORY pub/club "Rotary", where he is the owner, retains the look of Showa era in a large 800 square-meter space, and, would probably fit into the now rare genre called "cabaret". Yoshida is always around town. He is very sincere and straightforward, and often seen him cheerfully greeting all kinds of people. "Any type of greeting is fine! Whether is' Hey! or Yo! or Bye! Saying nothing because I'm busy, or saying See you! Even though I'm busy people perceive that totally differently." "Besides, if everyone came to this town, worked, and went home again without greeting anyone except at work, they'd be lonely, right?" A few words of greeting here and there change the atmosphere of this town, with its many issues. 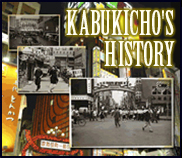 Kabukicho, a place visited by many people every day. "There seems to be a sense of expectation that Kabukicho has something you can't find anywhere else. It's fun to watch. It's fun to sniff the smells of the Japan you find in Kabukicho, as if something like the culture of the Showa era is still around here somewhere. It's a gorgeous 'underworld'. "It had a sort of magical power. But, despite the fact that there were many things about this town that kept it going, even as it was always swimming against the tide of society, recently I get the feeling that it's being overpowered. There's a fear about whether this town can survive. What is it about it that I wouldn't want to change? Maybe that's also the charm of this town. In Kabukicho, there's a kind of recklessness, but it's actually a town where that leads to good results, isn't it? A town that you can just enjoy yourself unconditionally. "Money can't buy you people who are in Kabukicho get entangled with the people who want to have a good time in Kabukicho? That's where the communication is important. you know?" If you want to taste the real pleasures of Kabukicho, it's crucial which door you open first. The process of finding that door is also a way of enjoying Kabukicho. All you can drink for \6,000! All the whiskey and shochu you can drink. (Any time \6,000/60 minutes). We support the office workers of shinjuku.